With the recent influx of Ted Bundy films in recognition of the 30 year anniversary of the killings, children everywhere may be misunderstanding the weight of these horrific events. In the documentary “Conversations With a Killer: The Ted Bundy Tapes,” serial killer Ted Bundy told a journalist that he did not care what was written about him in a potential book about Bundy’s crimes, as long as it sold. Thirty years later, Bundy is still getting what he wanted. 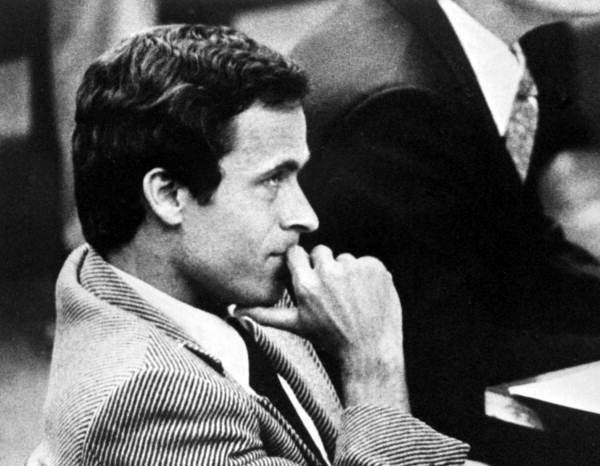 January 24, 2019 marked the 30 year anniversary of the execution of the most infamous serial killer of our time, Ted Bundy. On that same date, Netflix released the documentary “Conversations With a Killer: The Ted Bundy Tapes.” The next day, a trailer for the upcoming biographical film “Extremely Wicked, Shockingly Evil and Vile,” starring Zac Efron as Ted Bundy, was released. Yes, Ted Bundy was a historical figure as he was the first person in history to be labeled as a serial killer. After killing and sexually assaulting 30 women, he was able to roam free for years with no suspicion. Even when in custody, he was able to escape twice. This story completely changed the criminal justice system by teaching the importance of communication between the FBI and different police departments around the country as well as increasing prison security. However, painting such an evil, sociopathic and despicable figure as a celebrity mastermind while telling this infamous tale is dangerous. In a Bustle interview following the release of the new film’s trailer, the director of the upcoming Efron film, Joe Berlinger, said they are not glorifying Bundy, but rather painting him in a way to showcase his manipulative tendencies in order to portray how one becomes victim to a psychopath. The film is set for a fall 2019 Netflix release, so although I have not seen it, my issue with this film is not about how it glorifies Bundy, as he was always idolized by the media. Rather, the problem is we are exposing our media-crazy generation to movies and documentaries about a necrophiliac serial killer who is played by one of the most attractive and charismatic actors of our time. What is to stop a sociopathic teenager craving attention from attempting similar horrific crimes? Our time is one filled with Tide Pod, cinnamon and Bird Box challenges. Impressionable adolescents will do anything to get likes, subscriptions and ultimately fame, even if it hurts themselves or the people around them. The story of Ted Bundy is fascinating. But there are so many aspects that directors could focus on instead of showcasing his crimes as a work of art to be adored by generations to come. They could have focused on giving a voice to the one victim who escaped from Bundy and how that experience affected her life. They could have focused on the families of the victims or the improvement of criminal justice technology. There are so many angles to tell this horrible tragedy without focusing strictly on Bundy and how he did what he did. Berlinger argues that these films educate future generations about the darker side of history, similarly to movies and documentaries depicting Hitler and Stalin. The difference is, the movies about those leaders educate about dark times in international politics and the dangers of those in power. Ted Bundy was the guy next door. He was the charming boy you sat next to in math class. These Bundy films show impressionable youth that anyone can make the big screen for the small price of committing mass murder. Hollywood is so consumed with creating the next blockbuster that filmmakers simply do not care about the effects their films have. As a society, we need to stop and realize that a few hours of entertainment for us could be the trigger that pushes the next mass shooting for someone else. If we all simply stop giving Hollywood our money for such dangerous content, then maybe those in the entertainment industry will stop focusing on sociopaths and begin focusing on using their power to make the world a better place. This story was originally published on The Harbinger on March 25, 2019.